Like any other ministry, Sunday is work day; it’s the day when the servants of the Kingdom are put to the test. More so the day when the shepherd and the flock come head to head. Same goes for the outreach team, of whom I was a part of. Time-check is 7am and there I was at the cathedral waiting for the rest of the ministry team. We split into two teams as we took to an hour’s drive to the school. 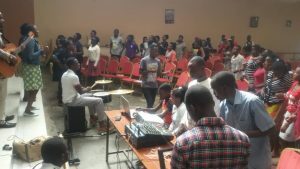 On arrival, the students were in utter expectancy, I could say the vine yard was set and fertile ready for God’s move. A PRAISE-RALLY it was and there we were singing songs of praise and worship to the most High God.it was not like our ministry to them; but rather it was though we were ministering together with them; “ONE VOICE” as we would like to all it. We heard a few mishaps in regards to the sound equipment and setting them up, but not even the devil stood in our way. An army of one seeking the face of God and waiting for an encounter was more so the goal of the day. It was fun spending time with people we share different life challenges with; spending time with the kids brought back memories of high school days. One of the major mind-nourishing moments was seeing a student from the school gain confidence to perform a song new to the congregation. One could see the tension on her face, but if anything she was inspired to sing before her fellows and she nailed it. A blissful time of barbeque prepared by the school followed and the rest is history. 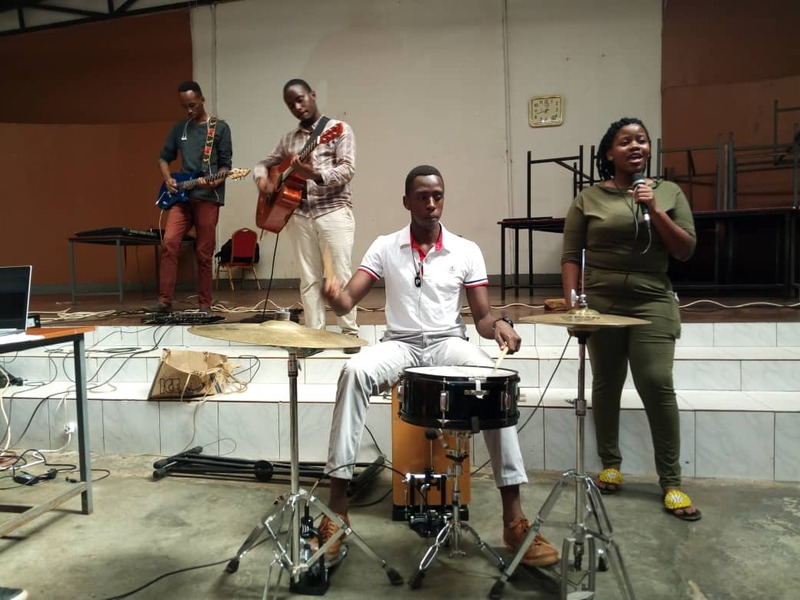 We were glad to see lives transformed and the joy written on people’s faces, at a particular moment it stopped being about the band, but about relating with the kids through song. With a carjon drum setup, keyboard, bass, acoustic and electric guitars, everyone was out of their seats. It was and will always be an honour serving God with what we have and laying our skill for the sake of the God-encounter.